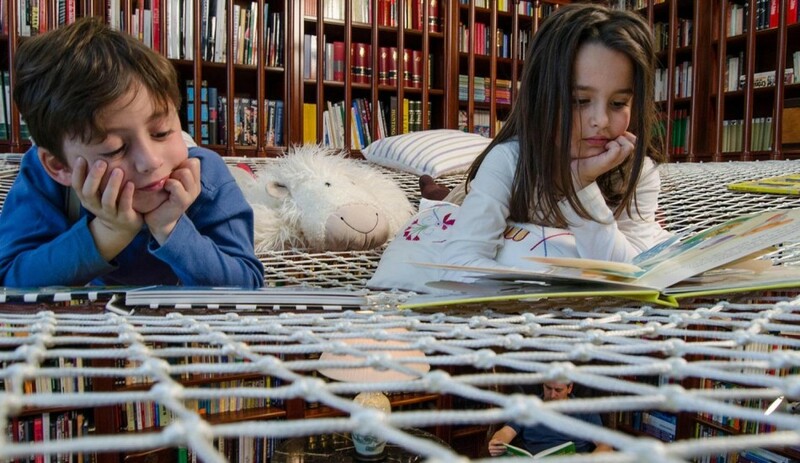 How to interest children in books? 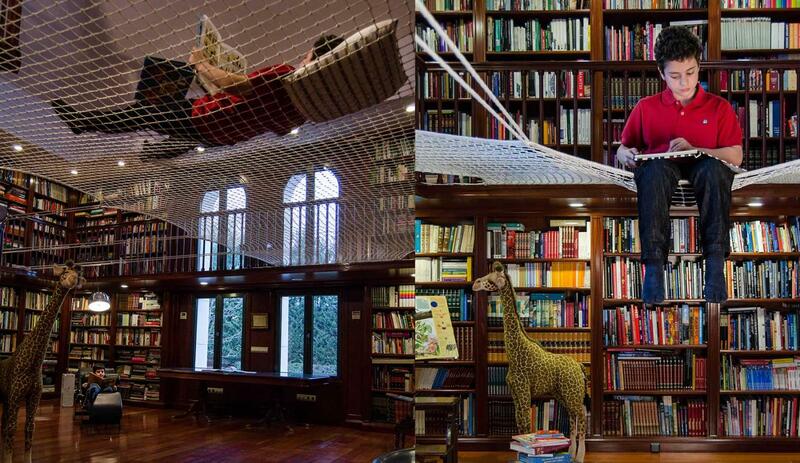 Library for children in your home. 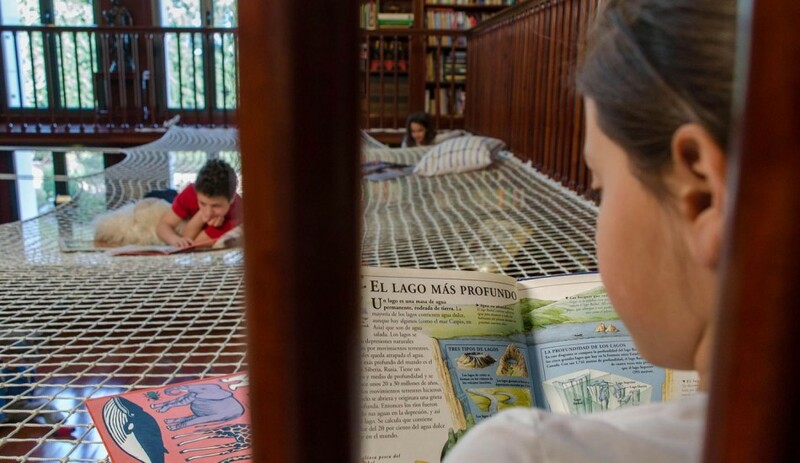 A traditional family library has been transformed into an appealing place for kids by the creative Madrid-based studio, Playoffice designing exclusively kids spaces that encourage learning through playing. 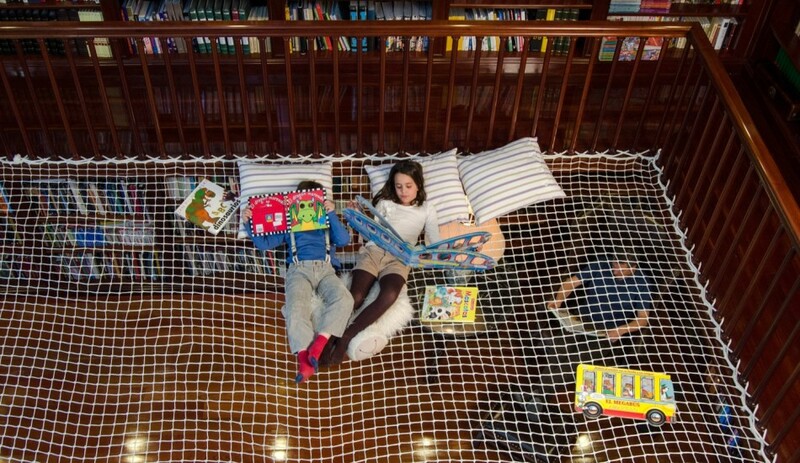 “Reading Net” is a wonderful way to show kids that reading can be fun and entertaining. 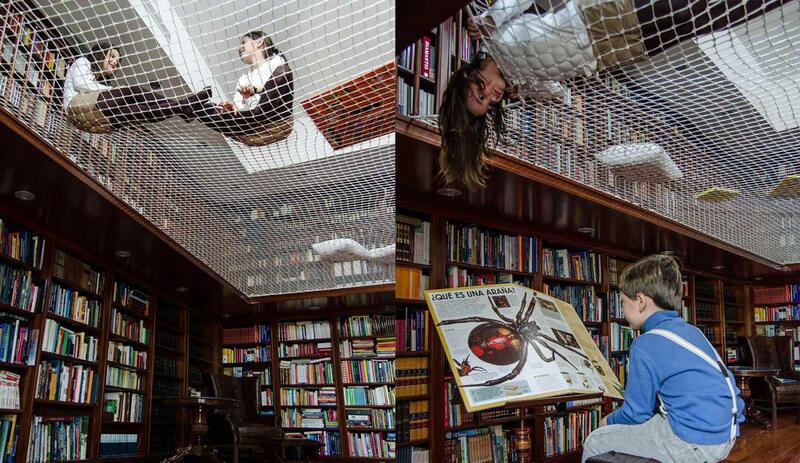 It makes the boundaries between playing and reading disappear. 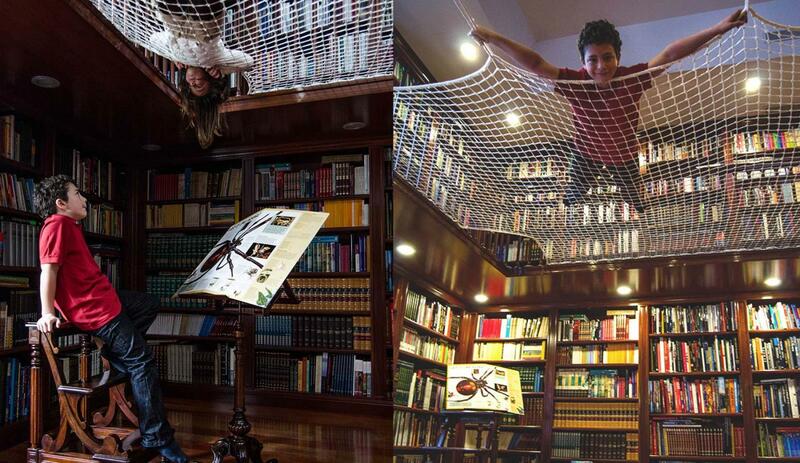 A cute trick to keep them “busy”. Kids perceive the world differently: our rules and limits don’t make sense to them. Reading Playoffice’s manifesto we get to see also why. 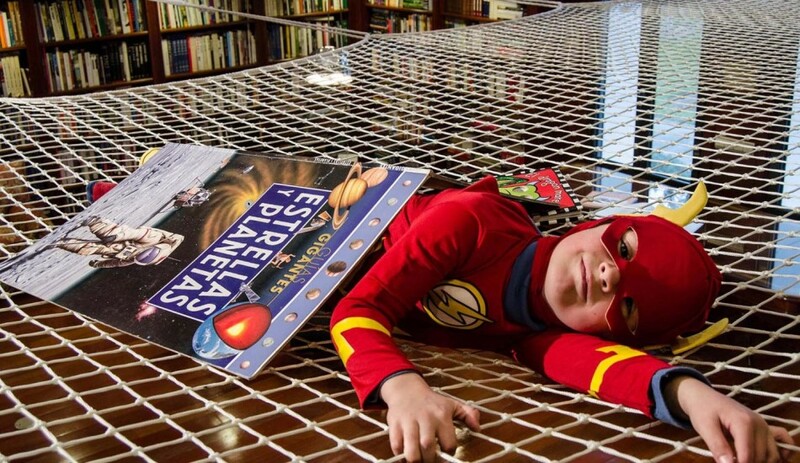 For kids, the world we live in is a wonderful and enormous playground: walls are for painting, bathtubs for swimming, furniture is for climbing. 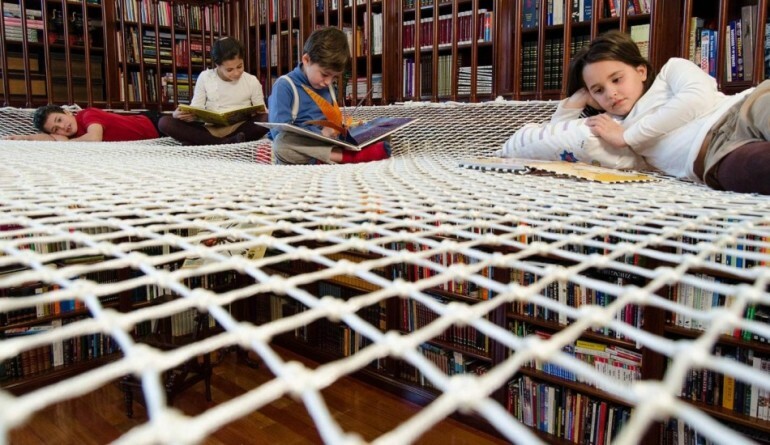 In this colourful universe of endless possibilities, a suspended “hideout” such as the Reading Net, where kids can sit, lay down or even hang upside down sounds like fun.